At this point in the game, you should have explored many sections of the game including the King’s Room, Princess Chambers, Prince’s Study, Armory and Studio. If not, you may want to review part two and three of this walkthrough series. 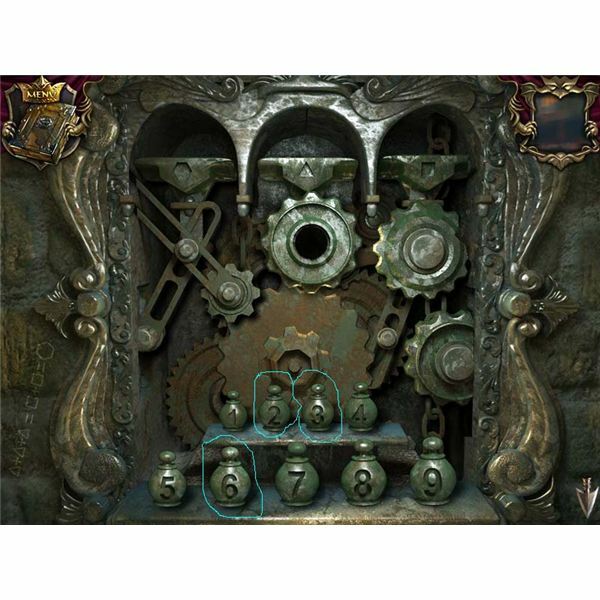 After completing the hidden object puzzle in the tower staircase area you will obtain a gear piece. If you have not gotten this far, review the Echoes of the Past – Royal House of Stone walkthrough – Part 3. Click on the mechanism on the right wall and place the gear into it. The mini puzzle that is revealed has a series of gears and weights. Each weight is numbered. Your goal is to place the right weights on three ledges at the top of the mechanism. A clue is written on the right hand of the screen. The weight placed on each ledge coincides with a specific shape. You will need the 2, 3 and 6 weight. You will need to visit the Armory and Stock room a couple of times. The first hidden object puzzle here you retrieve a set of tongs. If you have not been here yet, review Echoes of the Past – Royal House of Stone walkthrough part 2. In the Armory is a chest that requires a key to unlock it. This is retrieved from the tower staircase area. Check out part three of the Echoes of the Past walkthrough if you need more information. Unlocking this chest will give you a crowbar that can be used in the Tower staircase area. 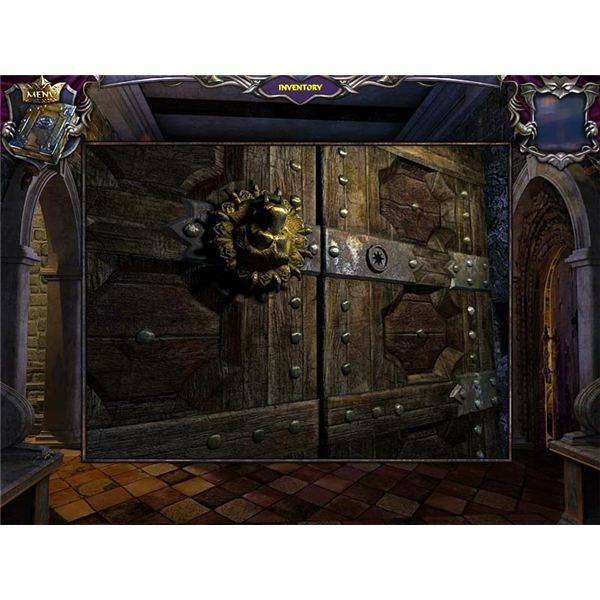 In the back of the Armory is the Stockroom where a hidden object room is located. 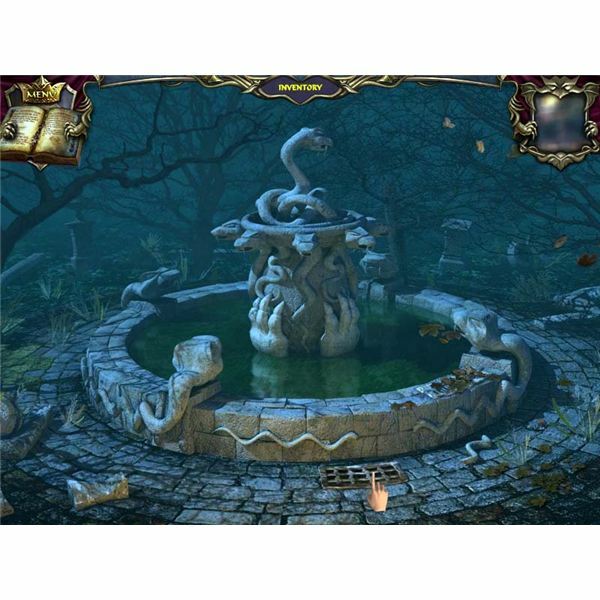 If you have visited this area before, you have already solved the first hidden object puzzle. This time, you will need to collect 15 feathers. One of these feathers is hidden inside a red pillow that can be cut open with scissors. For the complete solution, see the image on the left. After this puzzle is completed you will need to match all feathers you have found into pairs. As pairs are located, they disappear and will help you identify the feather you need for the Court Tailor in the Prince’s study. In the Princess Chamber, you will encounter a mysterious device that needs to be activated by a green scroll. Once this is done, you will also need to put a green beaker next to the device. This unlocks a mini-puzzle. 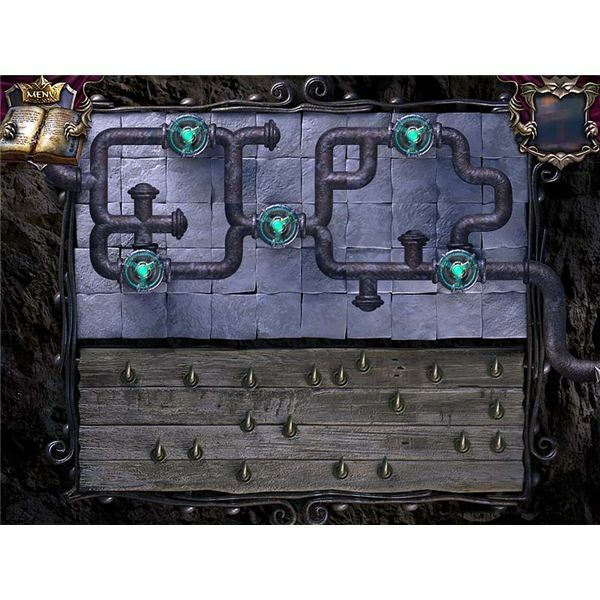 In this puzzle you will need to collect all green bubbles that are floating around inside the device. However, you will have to collect them without touching any of the other colored bubbles. When you complete the puzzle you will have a beaker filled with green liquid that is put back into your inventory. On the left side of the Prince’s study is a Court Tailor statue. Two items are needed to release him from this statue – a feather (located in the Armory stockroom) and some violet ink to decorate the suit standing next to him. To reach the garden square, you will need to unlock the back door in the main hallway where the Nanny was encountered. The door is unlocked with two items, a lion head knocker and a ring. Place the knocker on the right side of the door and put the ring on the lions head knocker on the left side. Once opened, click to walk into the garden square. You will see a gardener statue that is holding an empty bag. Give the gardener the red bag with the seeds. This causes the seeds to be sprinkled into the garden. Next, add the green vial of liquid to grow the plants. Look on the ground in front of you and pick up the garden pruner and flavoring herbs. There is a fountain in the distance. Click on it to move into this section. In front of the fountain is a small grate that can be removed with the crowbar. Underneath this is a puzzle. You will need to assemble the pipe pieces and turn the valves. When a pipe piece is correctly placed, its image will look solid. Incorrect placement makes the pipe look a bit faded. See image on the left for correct pipe placement. Once the pipes are in place you will need to turn the valves until all are activated. This will cause the water in the fountain to drain. On top of the fountain is a small tablet. Click on it to read a message that will be used as a clue later. The backyard is located to the right of the garden square. It is covered with bushes. Use the garden pruner to remove the excess brush. This will reveal a shovel, plaque and a large branch that is blocking the entrance to the kitchen. You will need to get some climbing irons from the alley to the crypt section to get access to the kitchen. To the left of the garden square is the alley to the crypt. Click on the statue that is located on the right side to pick up a rope. Look at the plaque posted on a second statue a bit further away for a clue. Click on it to pick up the key that is behind it. Look closely at the gate located on the right side in between the statues. Use the key to unlock the gate. Now that the gate is unlocked you will notice that it is rusted shut. You will need to find another item to take care of the rust before you can go through the gate. To the left of the ally is a small dirt pile. You will need the shovel from the backyard to dig and reveal the climbing irons. 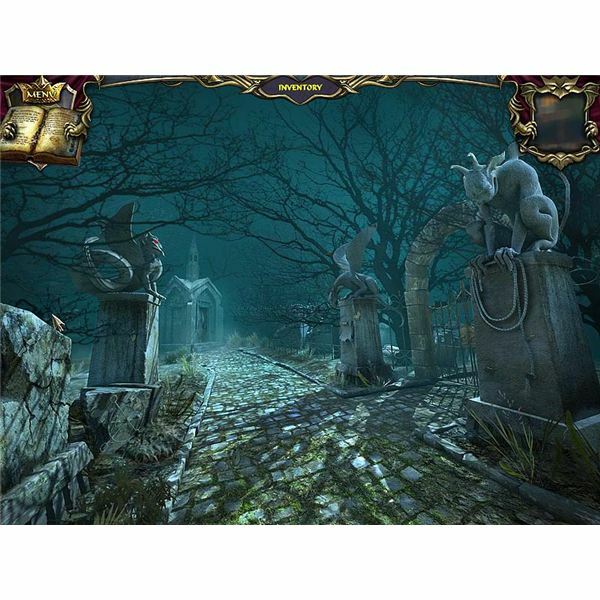 Screenshot images for this Echoes of the Past walkthrough were created by Sheila Robinson. 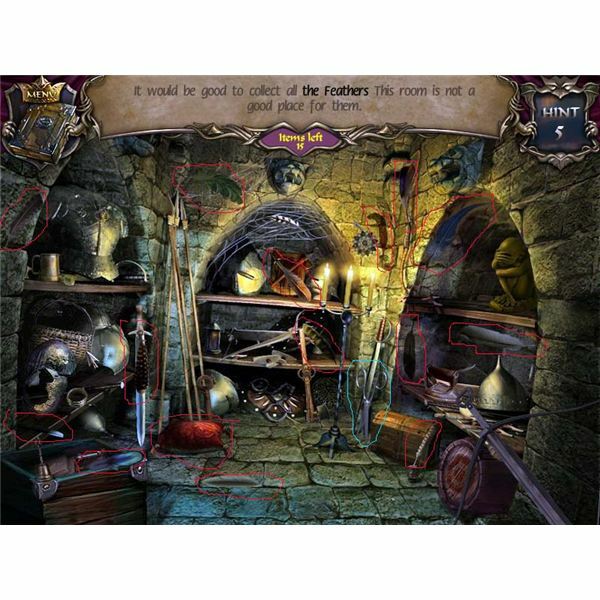 In this two part series, get information on the game and detailed spoilers to help you solve hidden object and other tricky puzzles in Echoes of the Past – Royal House of Stone.